Urbanizacion Oasis is located right next to the entrance of Punta Leona Resort in Costa Rica. In this quiet and private neighborhood are several single family homes for sale. The medium size homes are built on good size lots. The neighborhood has good infrastructure. Oasis is the perfect place to have a vacation home for the family or is a great place to call home and enjoy Costa Rica’s tropical setting. Located right off the Costanera road Urbanizacion Oasis has easy access to the various beaches and towns that are nearby. Playa Agujas is one of the beaches that is around the corner and this beach on the Pacific has calm waters where you can find local fisherman. Playa Agujas is perfect to go for a swim, surf, stand up paddle boarding or kayak trip. Inside the Punta Leona Resort you find one of Costa Rica’s beautiful white sand beach called Playa Blanca. This beach and Playa Manta, also located inside Punta Leona Resort, are popular with Costa Ricans visiting for the weekend. 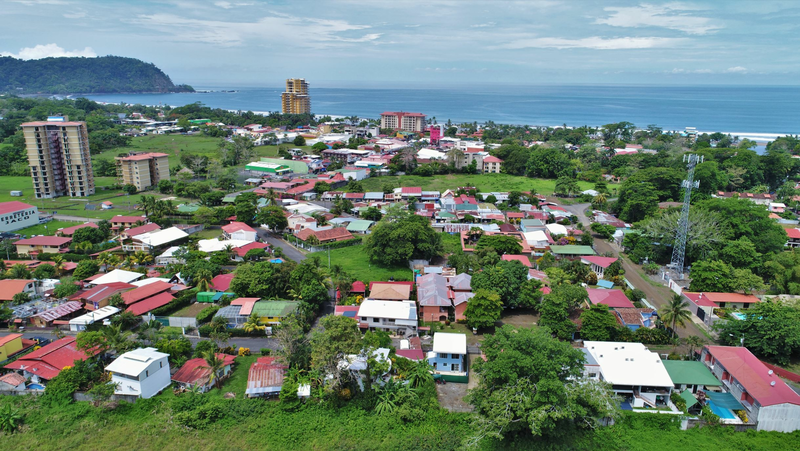 Quebrada Ganado is a typical small Costa Rican town where you find the basic needs and is only a minute drive from Oasis. At a 10 minute drive from Oasis you get to the town of Herradura here is a big supermarket located at a mall with some other stores and small food court. Herradura beach is home to Los Suenos Resort and Marina this resort houses many luxury homes and condominiums and has a hotel, casino, spa, golf course and marina. The beach town of Jaco is a 20 minute drive away. Jaco is known for its nightlife and counts many restaurants and bars. The beach of Jaco is a popular spot among surfers and the waves are great for beginners and experienced surfers. For the nature lovers Oasis is near National Park Carrara and the trails through this rain forest are especially good for bird watching. Oasis is only an hour away from the airport of Costa Rica.